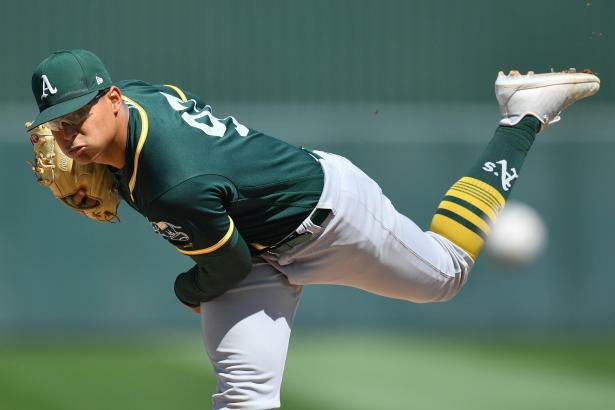 Jesus Luzardo (LHP, OAK) could soon provide a jolt not only to Oakland's starting rotation, but also your fantasy roster. UNC product Zac Gallen (RHP, MIA) could be on his way to Miami's rotation soon, and he has skills to make some impact for deep-league owners. Brandon Lowe has taken his promotion to AAA in stride, and could be in line for a starting gig in Tampa before too long. Sean Reid-Foley (RHP, TOR) continues to make his case for a spot in Toronto's rotation, along with other prospects vying for a cup of coffee this summer. Ryder Jones leads an intriguing crop of bats and arms that could provide some value for your roster this summer. Former top prospect Manny Banuelos (LHP, LAD) could jump into the Dodgers' rotation at some point soon and offer strikeouts for owners. Former early-round draft picks Nick Gordon, Josh Staumont, and others with a chance to make modest impact for your roster this summer. Kean Wong's breakout in Triple-A could soon put him in position to contribute for owners in deep-league formats. You won't find many elite skills in prospects outside the HQ100, but Astros OF Myles Straw possesses one of them. Roman Quinn leads a strong yet undervalued bunch of NL-only options who could impact your roster in the near future.